After four years of bloodshed, some in the Israeli media have opened the debate as to the peace credentials of Yasser Arafat. What self-inflicted masochism is this? In every generation we seem to spawn frustrated Jews obsessed with an urge to denigrate themselves and their people. Whether conscious or subconscious, the motivation stems from a thrust to be absorbed into society at large and to discard Jewish identity. In its radical manifestations, it invariably degenerates into self-hatred. In the Middle Ages, Jewish converts to Christianity played central roles in campaigns by the Church to promote hatred of the Jews. During the Emancipation, there were Jews who reverted to anti-Semitism in their embrace of universalism. Karl Marx has become a metaphor for some self-hating Jews of his time. Jewish communists picked up the mantle. Soviet Jewish communist cadres inflicted more cruelty on their kinsmen than their gentile comrades. In Israel, there was the Marxist Mapam-Hashomer Hatzair group which continued to worship Stalin, even as he proscribed Zionism as an anti-Soviet counter-revolutionary movement. They retained this “schizophrenic” approach even after the arrest of Mordechai Oren, one of their most prominent political leaders, on bogus political charges in Czechoslovakia. And again in our time there are no shortages of Jews who demonize and delegitimize Israel for what can only be attributed as a syndrome of self-hatred. We have our own politicians, journalists, academics, and so-called peace activists who seem to relate more with the Palestinian terrorists than with their own people. Until the 1980s they were considered eccentric radicals, usually associated with Matzpen, a Trotskyite fringe group. However, today some occupy important roles in the Labor Party and feature prominently in the op-ed columns of Israel’s most important Hebrew newspaper, Haaretz. These post-Zionist groups achieved the zenith of their power when Oslo was touted as irreversible. They infiltrated the mainstream school curriculum, promoting textbooks that undermined the ethos of Zionism. Some even hinted that the Jewish state was born in sin and was therefore responsible for all the Palestinian suffering since 1948. 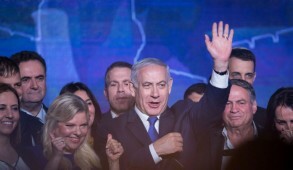 The post-Zionist call for the transformation of the Jewish state into “a state of all its citizens” is a prescription for the elimination of the distinct Jewish character of Israel, including the abrogation of the law of return, erasing the Jewish symbols in the flag, and rewriting the national anthem. With the advent of the current violence and the eruption of global anti-Semitism, most were forced to retreat. 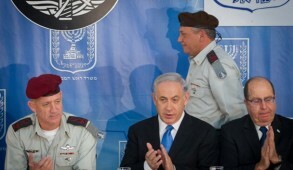 Yet in recent months, in the wake of Prime Minister Ariel Sharon’s unilateral disengagement plan, they have begun regrouping. 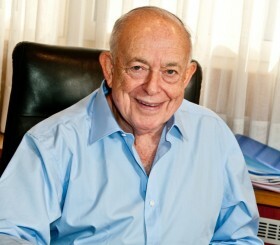 ON JUNE 11 one of the icons of post-Zionism, Haaretz journalist Akiva Eldar, published an interview with Amos Malka, a former head of military intelligence. Central to Malka’s message was that senior members of the Intelligence Corps with an ideological axe to grind had suppressed the truth by accusing Arafat of readying himself for the violence even before the breakdown in negotiations with Ehud Barak. Malka’s claim was that not only was Arafat reconciled to achieving an accommodation with Israel, but he was even willing to give up the Palestinian right of return if Israel would agree to repatriate a token 20-30,000 refugees. A drum beat of articles in Haaretz promoted this image of a benign Arafat forced into a violent confrontation because of an intransigent Israel. On June 18, a week following the Eldar article, Haaretz ran a front-page interview with Arafat conducted by Eldar and editor David Landau. 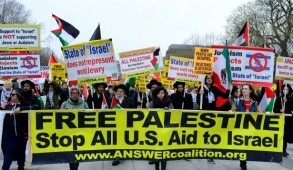 The headline quoted Arafat saying, “A Jewish state? Definitely!” The interview portrayed a peace-loving Palestinian leader conveying remorse that a settlement with Israel had not been achieved. This, of course, was not the first time that Israelis had resurrected a discredited Arafat. They did so in 1993 after the Gulf War. Arafat’s standing was then at an all-time low. He was perceived as a clone of Saddam Hussein and despised by everyone, including Arab leaders. But the Oslo architects rehabilitated him. They brought him and his gang out of exile in Tunis to the West Bank, providing them with weapons and opening the White House. Furthermore, after the accords had been signed and Arafat continued making speeches promising armed victory, our leaders buried their heads in the sand and insisted that his words of incitement should not be taken seriously. Terrorist outrages were glossed over, and we were repeatedly given mind-numbing admonitions that terrorists must not be allowed to derail the irreversible peace process. Today after the murder of more than 1,000 Israelis, it is surely somewhat obscene for newspapers to recycle the same rubbish we heard during the heyday of Oslo. To do so is to fall into the trap of Arafat’s psychological warfare. Nothing has changed since his repeated undertakings in the language of his people that his real objective was an end to Jewish sovereignty through a phased design of incremental dismemberment. Is not Arafat the ghoul who repeatedly blesses and continues to sanction suicide bombers? Who calls for a million shahids to go to Jerusalem? Who rewards the families of murderers? Who transforms the Palestinians into a truly evil society inculcating children to strive for the highest level of martyrdom by killing themselves in order to murder Jews? The recently appointed editor of Haaretz is an observant Jew who is striving to promote a better understanding of Judaism through his paper. It is hard to comprehend how in the midst of war, when Israelis continue to be killed daily, he can justify providing Arafat with a respectable platform to repeat his lies. 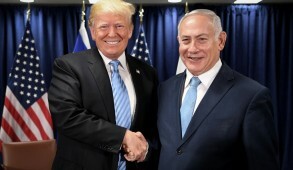 Are we really so befuddled that we have to ask ourselves whether, after his terrible track record, the man dripping with the blood of the innocent could still be a genuine partner for peace? What is this effort if not another manifestation of self-inflicted masochism? The UN - a home for the Jews?